This is a great appetizer of snack! You can also serve it along side any dish you want a briny flavor! 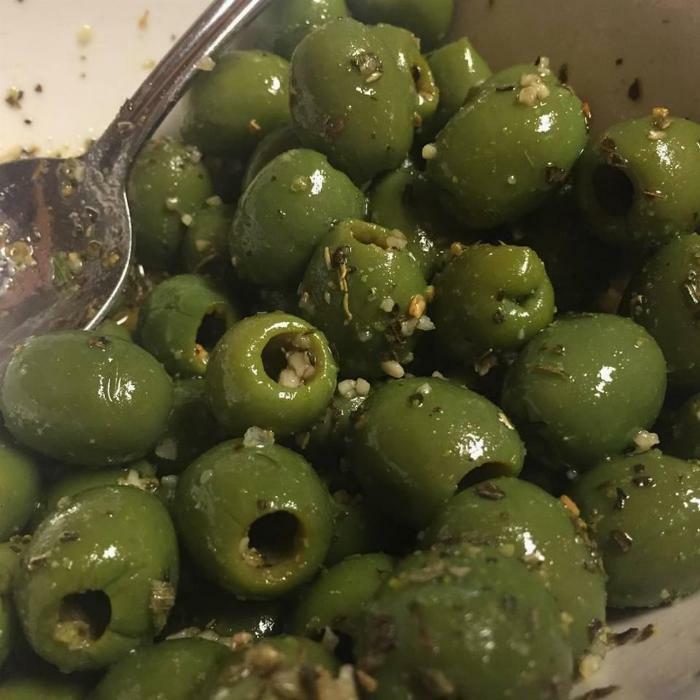 1/2 pound castella vetrano olives of any green olives that you like. 1Mix all ingredients in a bowl and combine with olives. Refrigerate immediately then serve.